Vitamin C is a relatively new rage in India. Essentially a brightening ingredient, it is one of the most popular treatments for postinflammatory hyperpigmentation (PIH), which is basically skin darkening that happens when the skin produces melanin after getting aggravated by an acne scar or some sort of injury. Vitamin C treats such pigmentation, shallow acne scars, and mild sunspots really well, while giving skin a bright overall glow as well. For residents of a country that is tropical and exposed to the sun, vitamin C is, therefore, a great product. So, if you are also interested in trying products containing vitamin C, here we list the best products containing this ingredient. 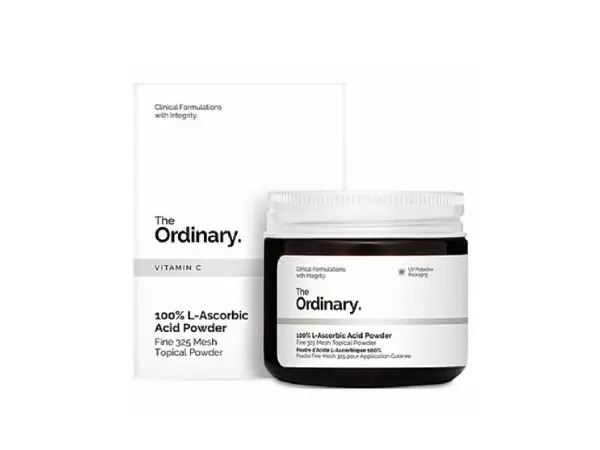 While The Ordinary isn’t officially in India, several websites sell products by the brand. This unique product is one is among its many cosmeceutical offerings. It’s essentially pure vitamin C powder that you can mix with compatible skincare products like hydrating toners, moisturisers, and such. The issue with it is that it works well only when mixed in the right amount and with products that won’t react with it. Since it is in powder form, it has a better shelf life than liquid vitamin C products. However, the trick is to use it in really small amounts. A cult-favourite rebranded version of the brand’s O.S.T. Original Pure Vitamin C20, this is often called a skin filter in a bottle. It contains a high amount of vitamin C–20% ascorbic acid, which not everyone can tolerate (or even needs). So, mild stinging is quite likely and a patch test highly recommended. It is also a sticky product that should ideally be left on overnight. All those negligible cons aside, this buy is a holy grail when it comes to improving skin wrecked by acne scars, pigmentation, and dullness. However, because it is a potent product, you must follow up with sunscreen the next day. 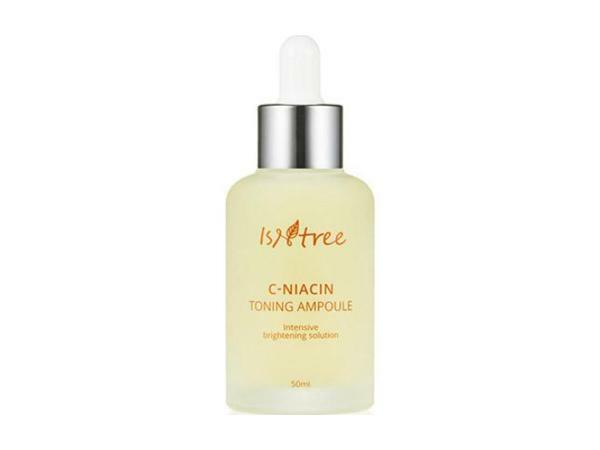 A holy-grail product for those with acne-scars and PIH, this has vitamin C derived from sea buckthorn and only 2% niacinamide, which is great for beginners. It also contains a derivative hyaluronic acid to hydrate skin and is a fast-absorbing way to make skin even-toned and bright in the long run. Even though it has just 5% vitamin C, it helps reduce acne scars and spots without aggravating skin like higher concentrations of vitamin C might by irritating sensitive, acne-prone parts of the face. So, despite the oily consistency, it doesn’t usually break people out. Since it comes in a clear bottle, it should be stored in a refrigerator. Fair warning though: do a patch test before trying it, because it doesn’t claim to be meant for sensitive skin, so it can cause redness and inflammation. 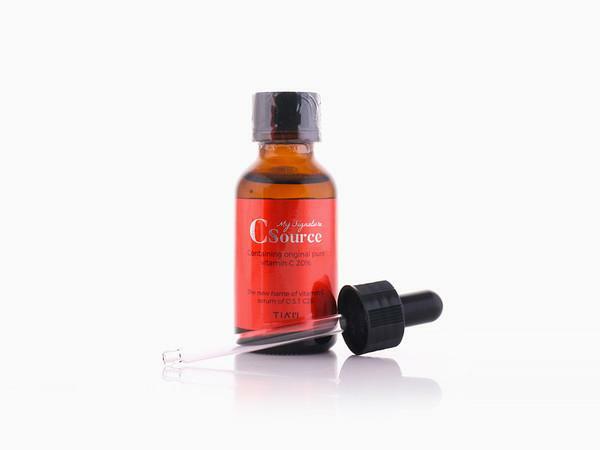 Did you know that vitamin C serums work better in combination with vitamin E and ferulic acid? 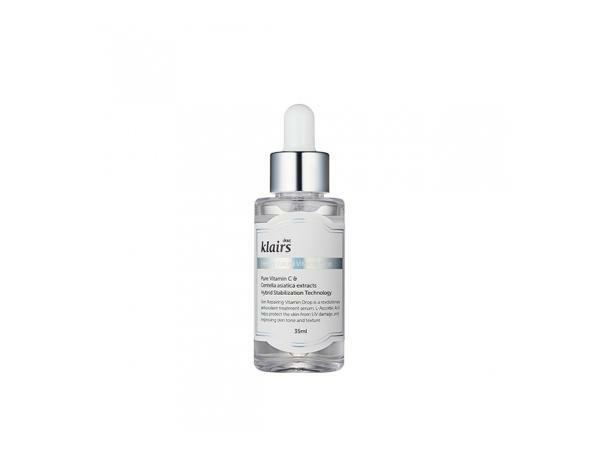 This serum contains vitamins A, C, and E, which means it’s a great way to renew and replenish skin. Whether you have dullness, rough skin, flakes, and scars, this works really well. Even though it has issues like the fact that it’s expensive for the quantity and that it takes time to get absorbed, it’s really nourishing and hydrating–making for a great night-time serum for skin experiencing signs of photo-ageing. 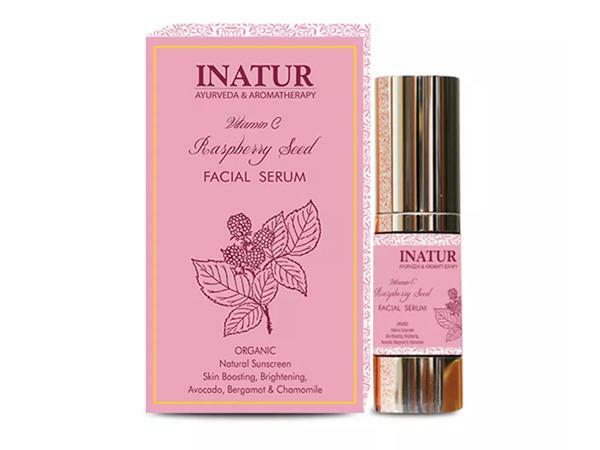 This non-sticky, easily-absorbed gel-like serum contains a vitamin C derivative called ascorbyl tetraisopalmitate. This helps to brigten dull skin, and lend an all-over glow. Since it contains glycerine as well, it makes skin appear plump upon application. 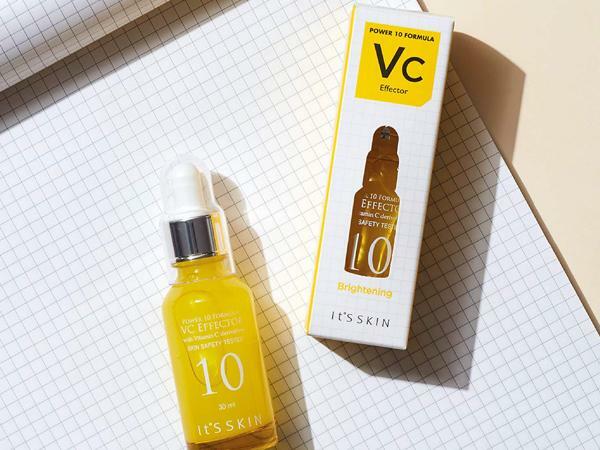 Much like the PO Effector from It’s Skin, this too, is great as a day-time serum, as it enhances the skin’s look when you’re wearing it instead of working to improve it from within as other vitamin C serums might. It doesn’t, however, reduce scars. This sheet mask might not be a miracle-worker, but with regular weekly use it can definitely brighten skin, heal PIH, and reduce redness caused by blemishes. 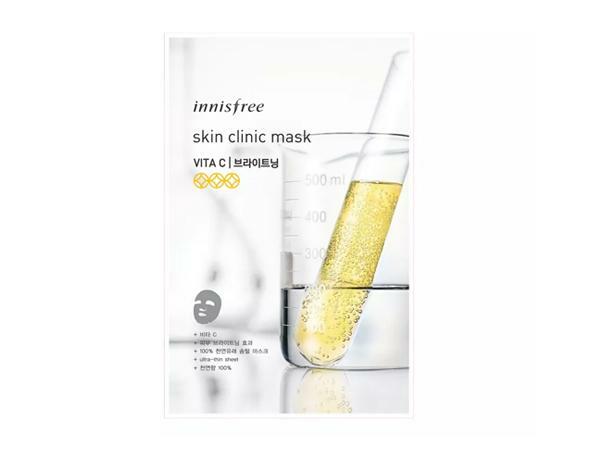 Non-sticky and refreshing, this is one of the few sheet masks that gives great results. 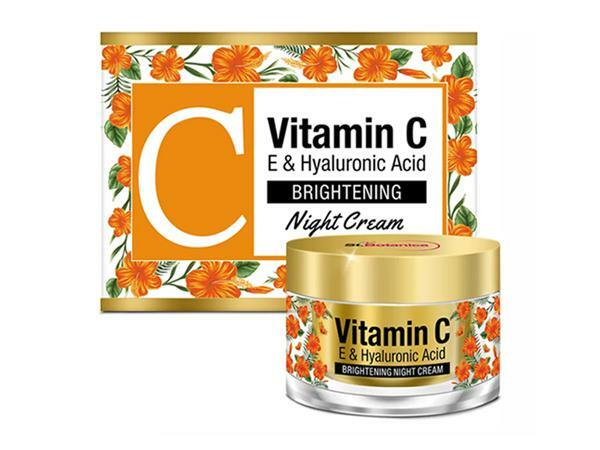 If your skin is dull, dry, prone to hyperpigmentation and roughness, this is the night cream for you. Vitamin E is amazing for softening and nourishing damaged skin, while the hyaluronic acid plumps it from within to give an even glow. Though the vitamin Cisn’t as potent in this formulation, it still gives skin a nice glow.